Sukho Thai was the venue of choice for a friend’s goodbye dinner last month. 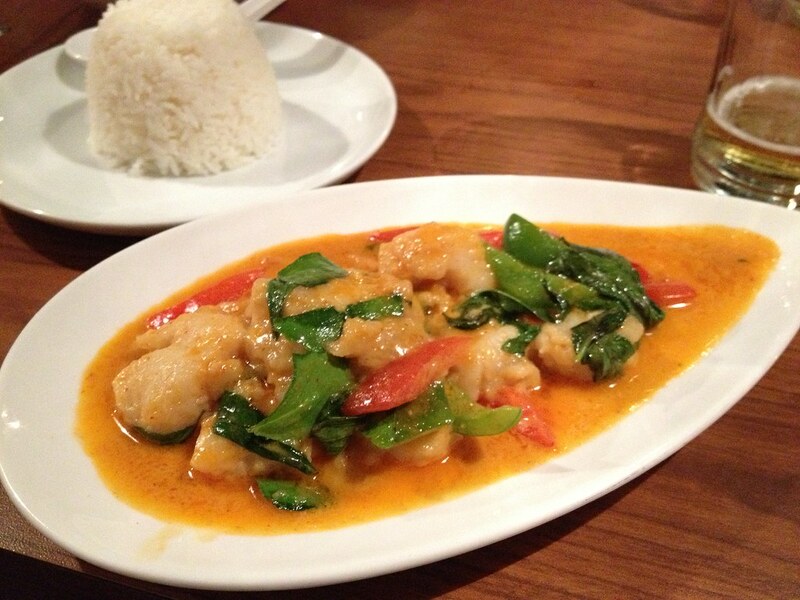 It fit our needs of having great food, being able to accommodate a large group and be reasonably priced. Atmosphere: We went to Sukho Thai’s new location on Wellington and the interior was decorated beautifully with a great bar and plenty of dark wood. The elephant motif carried throughout the restaurant on the walls and in the frosted glass behind the bar. With the dark woods, intimate lighting and music the restaurant felt more on the dressed up side of casual or stop by before a night out dinner. Service: Being a large group, everyone trickled in at different times and it took at least 30 minutes for our entire party to be seated. During this time, we were in no way rushed and our server was quick to check up on us and take drink orders as each new person was seated. Two servers took our food orders together and all of our entrees arrived within 5 minutes of each other. We were easily able to get split bills and everything was correct the first try. 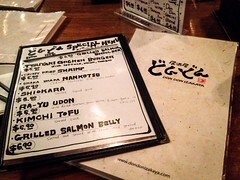 Really it was great night and great friendly service. 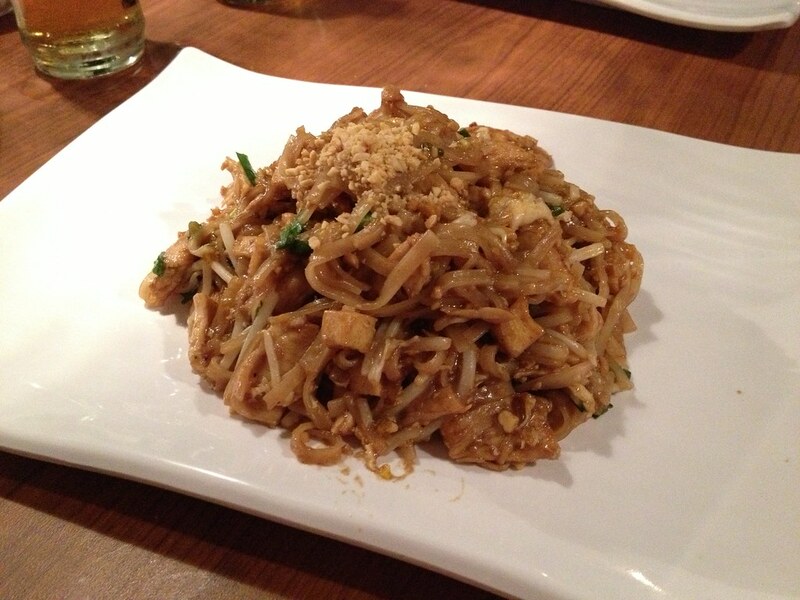 Food: My first time at a Thai restaurant, I always order the pad thai. Second visit, if the pad thai passes is almost always a curry or soup. Since the BF was willing to share, I got to try both that night. 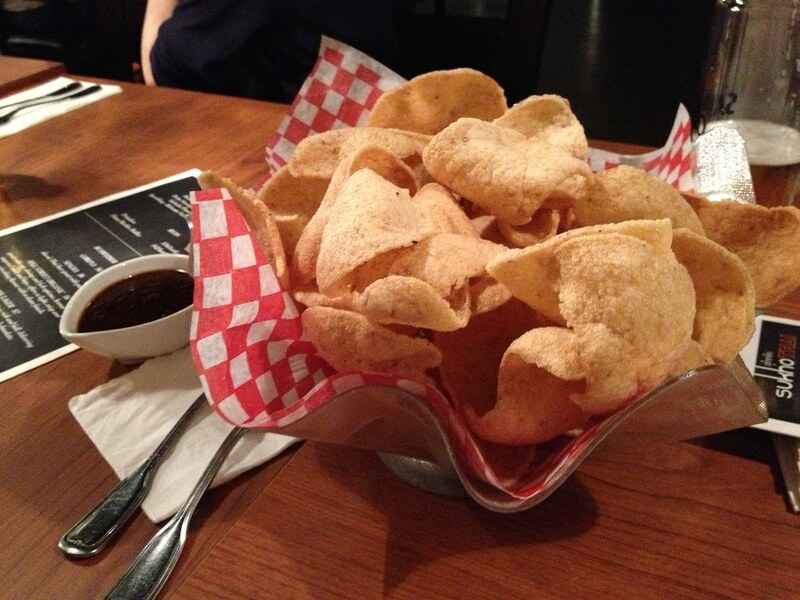 My mom used to make shrimp chips at home when I was little but stopped and I rarely see it on restaurant menus in Toronto. So that dish was a must. I was surprised by the giant portion size. There were a good 20-30 chips and we passed it around our entire table. The chips were airy, not greasy and the sauce was amazing, they really were addictive and a great side dish to drink with. The BF and I ordered the chicken pad thai and the fish panang curry to split. I liked the pad thai and I love that the tamarind sauce is homemade and no ketchup is used in the dish. The noodles were a great texture. 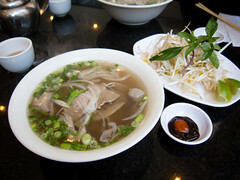 I would’ve liked more bean sprouts and a spicier dish overall. A wedge of lemon would also have been a nice option to have. 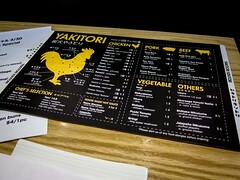 It was ok. I’d like to try the special “northern style” pad thai next time as it sounds to have more of a kick. We both loved the panang and fought over each bite. Portions were on the smaller side but we could’ve eaten an entire pot so this may have been biased. 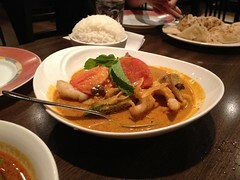 The pieces of fish were tender, moist and wasn’t overpowered by the curry, which wasn’t too thick and full of flavour. 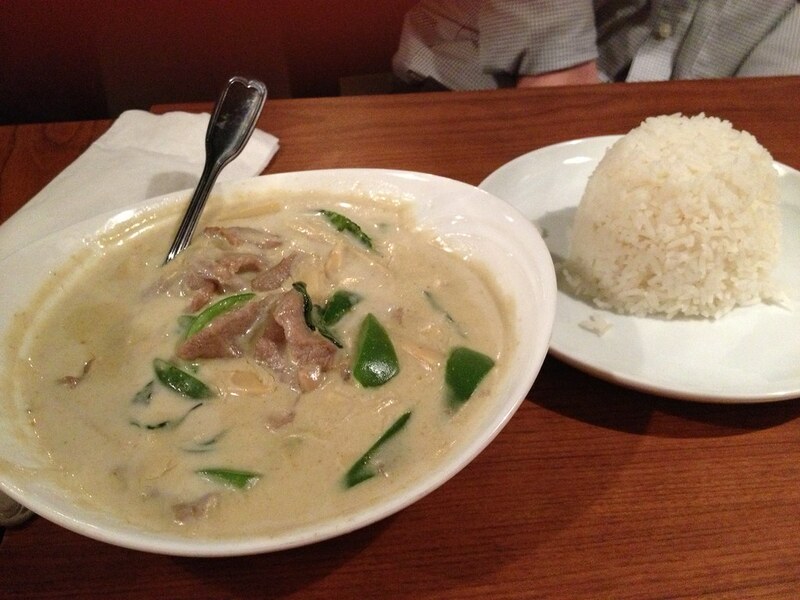 Our friends across the table ordered the green curry of which I stole a few bites and also really liked. My preference was still our panang. Both curries were mild spice and a bit more heat would’ve only added to the flavours for me.